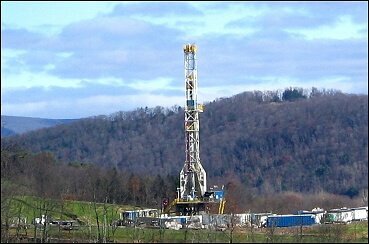 The Ma rcellus Shale natural gas boom has brought jobs and money to West Virginia. However, gas drilling-related injuries and deaths are also on the rise. The good news is there can be both prosperity and safety for our workers and state, as major energy producer Wyoming has recently shown. Statistics from the U.S. Department of Labor’s Bureau of Labor Statistics found 13 workers died in West Virginia’s oil and gas industry between 2008 to 2012. The figure is alarming because it’s more than double the number of workers who lost their lives during the previous five-year period when five workers died, according to the bureau. The Charleston Gazette reported the rise in worker deaths comes at a time when natural gas production in West Virginia has also more than doubled. 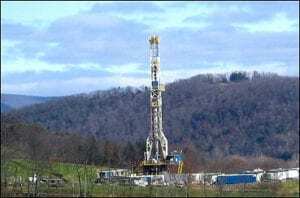 The increase in deaths coincides with a rush to tap into the Marcellus Shale reserves. Oil and gas extraction activities also more than doubled in that time while West Virginia coal mining activities has decreased, according to data from the U.S. Energy Information Administration. West Virginia is not alone in paying for the increase in production in lives. Other states that are playing their part in America’s energy boom such as Texas, North Dakota and Pennsylvania have seen increases in worker fatalities, according to the Houston Chronicle. If you or a loved one has been injured or killed at work or in a gas, coal or oil mining incident, we invite you to call one of our West Virginia workplace injury lawyers for a no obligation, free consultation. There’s never a fee unless we recover money for you. Our toll free number is 1-877-943-WEST (1-877-943-9378). Wyoming, like West Virginia, is one of the eight major energy producing states. Wyoming is the only one of these states to “engage in a sustained-sponsored effort to reduce workplace fatalities,” according to the Houston Chronicle. Not coincidentally, it is the only one of these state to report a decline in workplace related deaths during the natural gas boom. Wyoming has clearly shown that natural gas mining and safety can coexist when formal safety precautions are put in place. What is being done about the increase in workplace deaths in West Virginia gas and oil mining industry? The rise in gas and oil industry deaths have sparked calls to the Obama administration to launch an initiative to prevent major industry disasters and to address safety problems in the fast-growing oil and gas business. Gas and oil mining has also caused a rise in worker injuries. Last year a fire at an Antero Resource’s natural gas drilling site in Doddridge County, West Virginia injured eight workers. The Charleston Gazette reported the U.S. Occupational Safety and Health Administration is considering expanding its “process safety management,” or PSM, rule, which requires employers to anticipate potential accident scenarios and take steps to avoid such incidents before they occur. OSHA is considering eliminating the PSM rule exemptions for oil and gas drilling and servicing, and for production facilities. In a letter to OSHA, the U.S. Chemical Safety Board argued that the exemptions for oil and gas industry sites should be eliminated from the PSM rule. A separate report suggests that the arrival of oil and gas extraction (known as fracking) industries increases fatalities on roads around the mining sites. An analysis of traffic deaths and census data in six drilling states found in some places, “fatalities have more than quadrupled since 2004 — a period when most American roads have become much safer even as the population has grown,” stated Associated Press. At West Law Firm, we wish above all for the safety of our workers. However, when a corporation puts profits ahead of safety and a worker is injured or killed in West Virginia, we are here to help. We have the experience and skill to get injured workers and their families the money they deserve while giving them the personal attention they deserve. If you or a loved one has been hurt or killed in West Virginia, we invite you to call one of our Charleston, VW workplace accident lawyers toll free at 1-877-943-9378. Time is of the essence as critical evidence can be lost or destroyed. So, its important to contact an experienced gas and oil accident lawyer like those at West Law Firm as soon as possible.